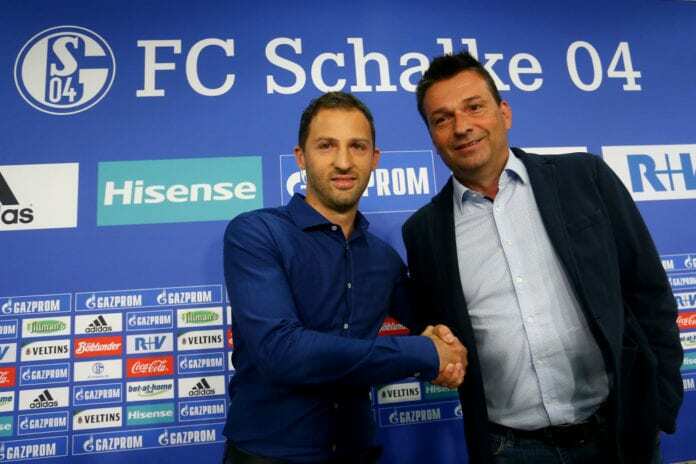 Schalke 04 manager Domenico Tedesco and sporting director Christian Heidel have been given a vote of confidence by chairman Clemens Tonnies. Tedesco had a magnificent debut campaign in charge of Schalke last season after leading them to an unexpected second-place finish in the Bundesliga. 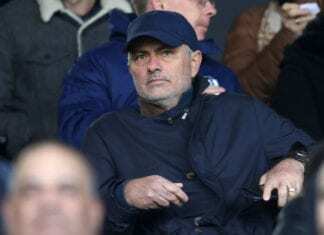 But things haven’t gone to plan this term for the Italian-born coach with Schalke currently languishing down in 12th-place in the standings and 10 points outside the top-four heading into the final 16 games of the campaign. Although things have looked a little more promising for the Royal Blues lately after winning their past two league games. Despite admitting that Schalke’s current position is indeed unsatisfying, Tonnies retains confidence in both Tedesco and Heidel to turn things around at the Veltins-Arena. “They both have our absolute trust,” Tönnies told Funke Mediengruppe. “Christian Heidel and Domenico Tedesco are working hard to improve our sporting situation in the Bundesliga. Schalke will now face a tricky trip to seventh-placed side Hertha BSC tonight in the Bundesliga. Pal Dardai’s side defeated Schalke on their own home ground 2-0 earlier this season and proved themselves to be a strong team by a victory over Bayern Munich by the same scoreline. Therefore, Tedesco will not be taking tonight’s opponents lightly as Schalke chase a third win in a row. “Our opponents play with a lot of tempo and play well down the flanks,” said the Schalke coach. “They are also strong in the air and fight well for the second ball. He added: “We want to focus on our own game. We have a new dynamism and new self-confidence. We want to fulfil our potential on the pitch. We want to improve every week. The Bundesliga game between Hertha and Schalke will begin at 20:30 (CET) tonight.